Aluminium and Alcohol free deodorant. The Perspi-Shield® brand is a range of specialist antiperspirants, deodorants and clothing focusing on a more chemical-free method of protection from sweat and odour. 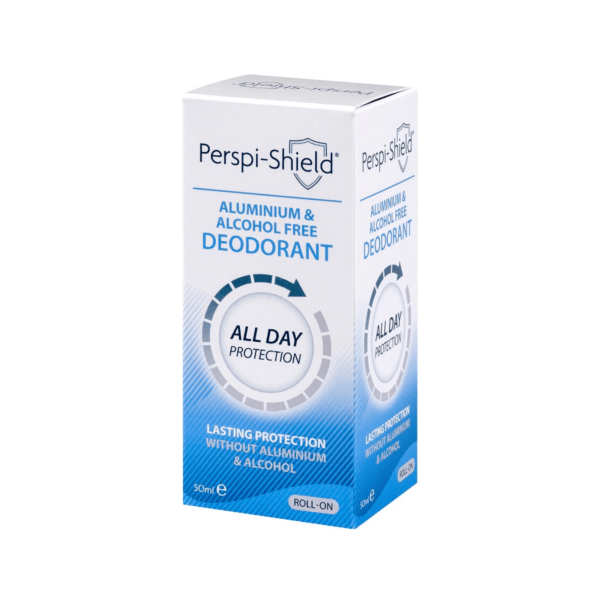 This easy to use roll-on deodorant is Aluminium and Alcohol free. 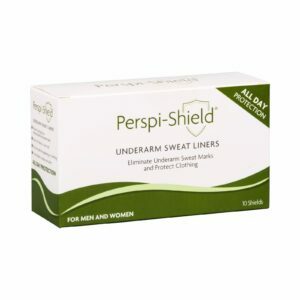 In addition to this, the gentle-on-the-skin formula also helps to keep you protected for up to 12 hours. 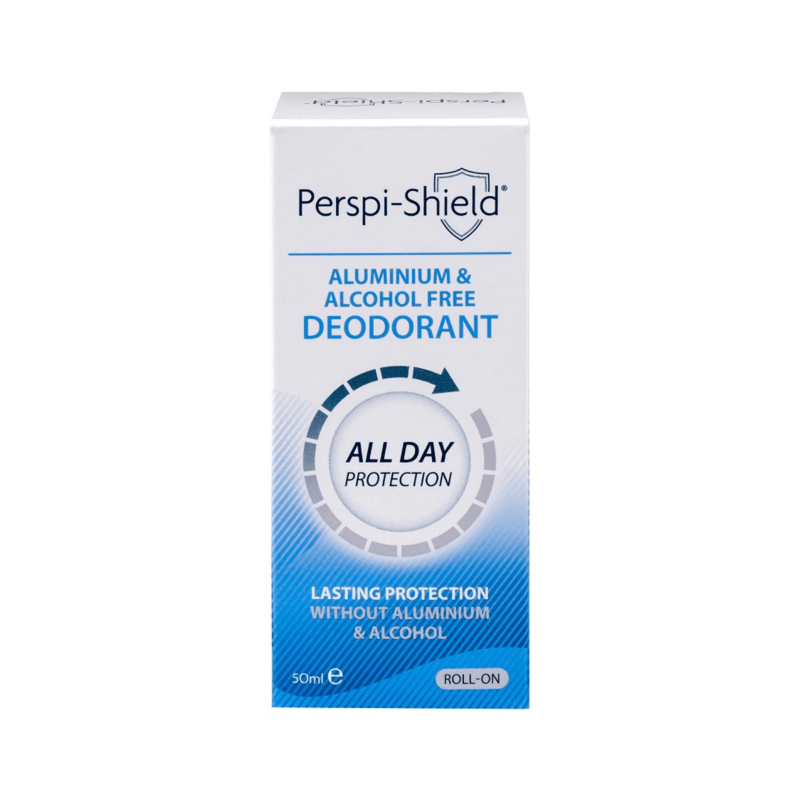 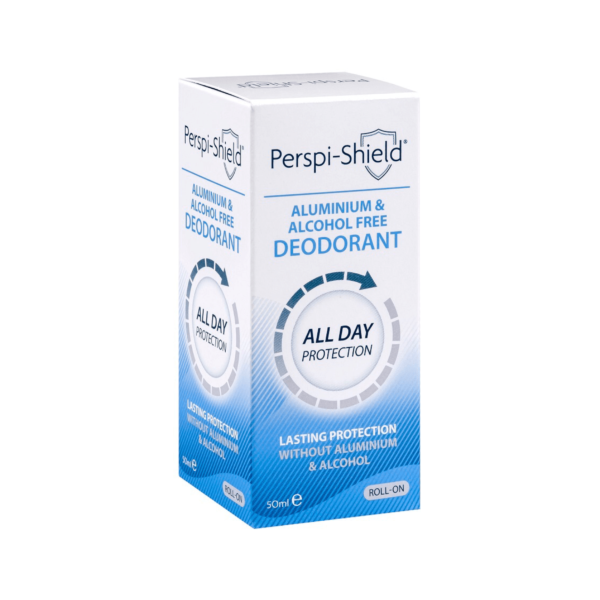 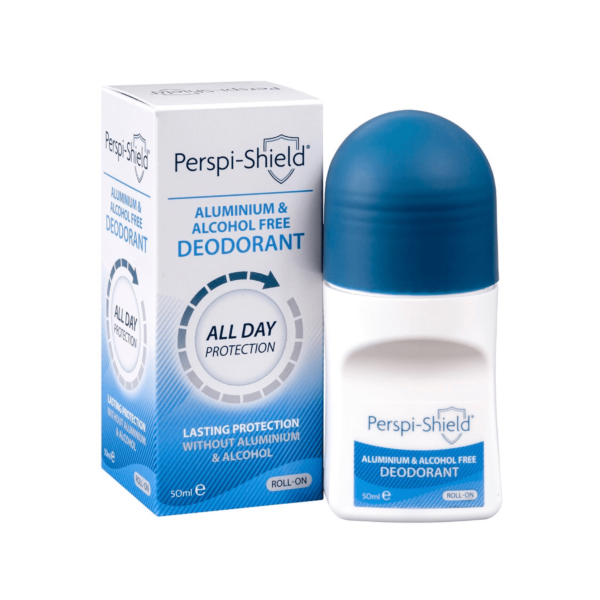 Perspi-Shield® Aluminium & Alcohol Free Deodorant can be used by men and women of all normal skin types from the age of 6 years to treat problem sweat and odour. 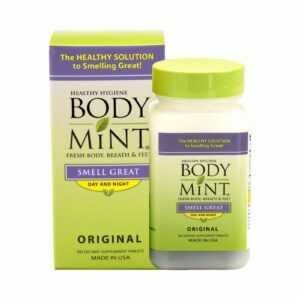 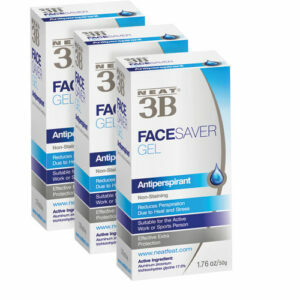 Use daily on clean dry skin, ensuring good contact and allow to dry. 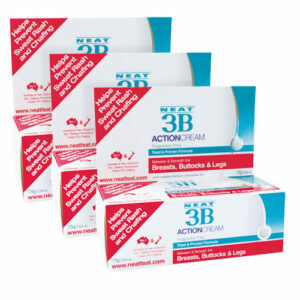 This product is not suitable for use on damaged or broken skin, and if irritation occurs, discontinue use.